Nestled at the foothills of Portugal's Sintra Mountains, the town of Sintra is known for its pine-covered hills, lush beaches, and beautiful pastel palaces. If you're looking to see it from a more local perspective, take the road less traveled to explore some of the hidden gems on Portugal's Atlantic Coast. And I can't think of a better way to do so than in open-air Jeeps with some awesome local tour guides. Here's a look at our day trip Jeepin' down Portugal's Atlantic coast. If you haven't heard of Sintra before, it's a charming town and UNESCO World Heritage Center just outside of Lisbon, Portugal's capital. Many people visit Sintra for the historical sights like the National Palace, Moorish Castle, and medieval Pena Palace, but there's more to the town than landmarks. 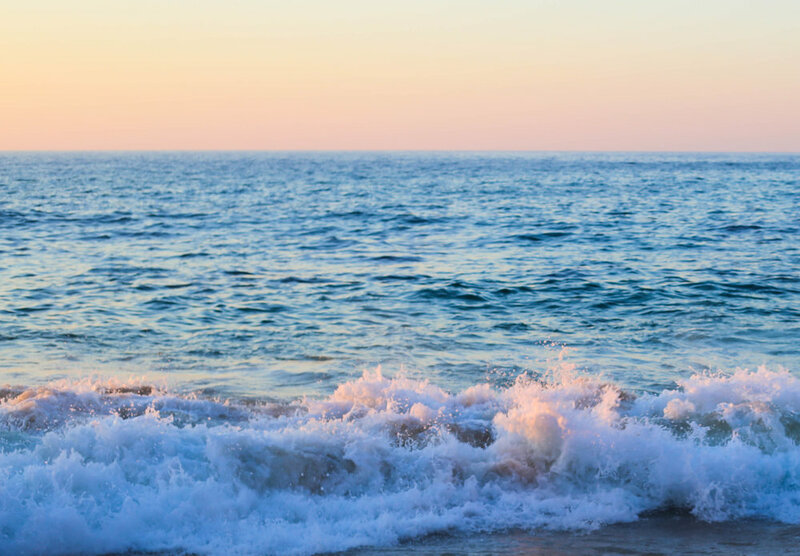 Beyond palaces and scenic viewpoints, Sintra is known for its stunning coastline and beautiful beaches known for being some of the best surfing spots in the world. The closest airport to Sintra is Lisbon International (LIS), and there are a few different ways to get from there to Sintra. You can get there via a 40 minute commute by car or train, but trains are best since parking is limited and roads are hilly and narrow. Trains are also also inexpensive, and leave from Lisbon's Rossio and Oriente stations pretty frequently, making it an easy day trip. 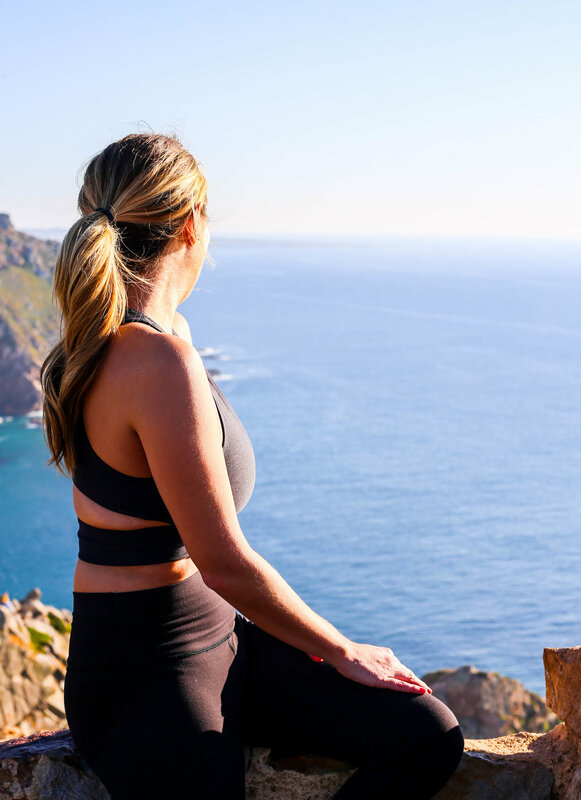 An outdoor-lovers paradise, Sintra is the perfect place to hike, bike, surf, and explore. 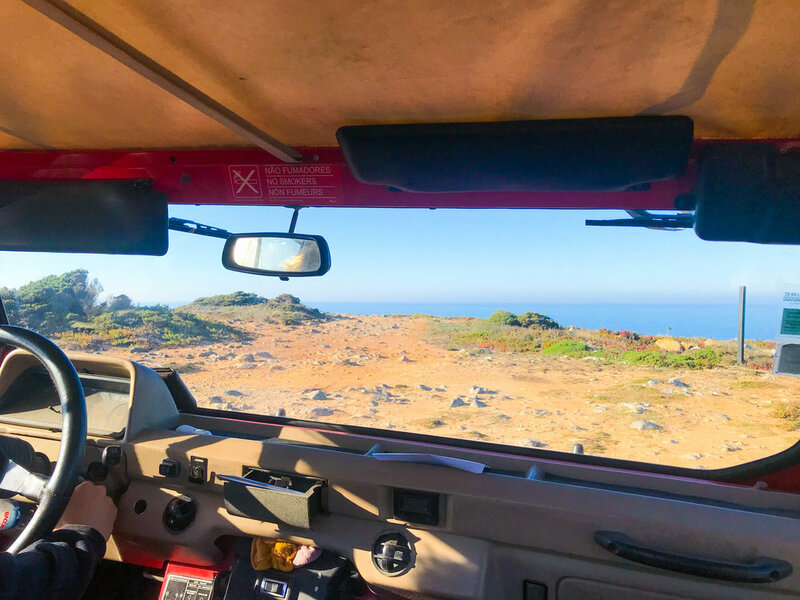 But if you want to give your glutes a break, taking a local Jeep tour is a great alternative 🚗 The six hour tour took us all along the coast, as well as a wonderful Portuguese lunch spot. If you don't opt for the Jeeps, there are plenty of cute seaside restaurants and bars to explore. 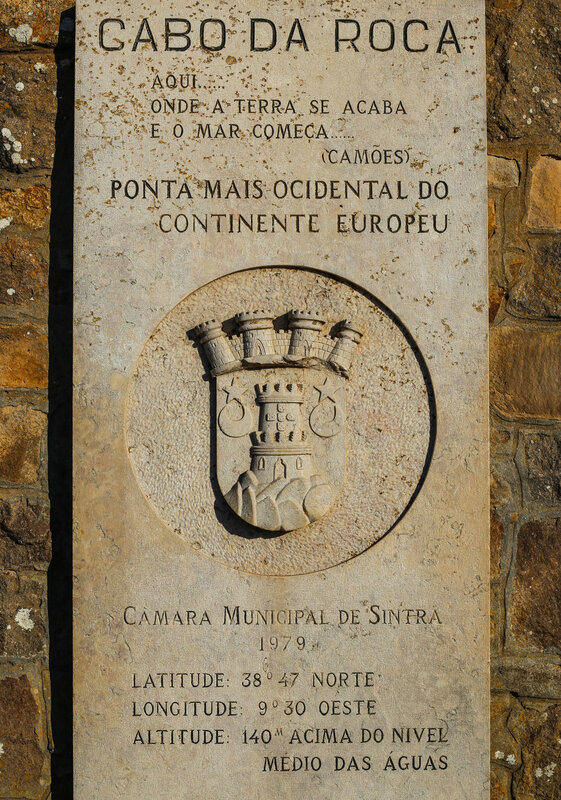 Another must-see on the Sintra coast is Cabo da Roca, the westernmost point in continental Europe. Last but not least, take in the epic sunset on the Atlantic. We stopped at a beautiful spot with a natural pool, which made the sunset as unforgettable as the day itself. If you're interested in visiting Portugal's Atlantic coast, get more resources and booking information by visiting Sintra here and taking a Jeep tour here.